The Minister of Health, Prof. Isaac Adewole, has been conferred with the Ethics Resource Centre Leadership Impact Award in recognition of his outstanding and visionary leadership. The Independent Award Committee of the centre made this known in a statement jointly signed by the Chairman, Governing Board, Prof. Abednego Ekoko, and the Chairman, Independent Award Committee of the centre, Mr Ike Onyechere. 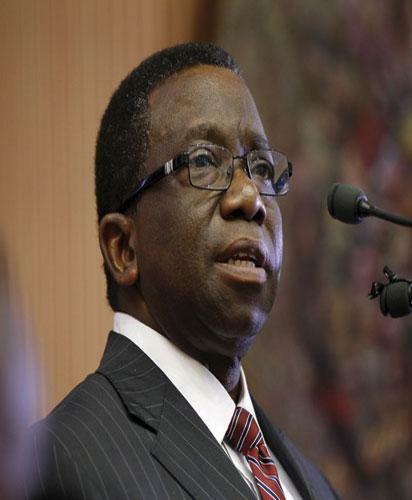 A copy of the statement made available to newsmen on Tuesday in Abuja noted that Adewole was recognised for his support that inspired the concerted efforts of health sector agencies to implement the Medical and Health Practitioners Security Project as an inter-agency and multi-stakeholder initiative. According to the statement, the decision of health sector leaders to come together to address a common security challenge, despite professional differences is significant and strategic. It noted that the project inaugurated to empower health practitioners with precautionary, preventive and mitigation skills and tools required to respond to security challenges involved the publication and distribution of Medical and Health Practitioners Security Manual and capacity building programmers, among others. According to the statement, the project started with national conference on security of hospitals and health practitioners and jointly organised by the Federal Ministry of Health, Nigeria Police Force, Federal Road Safety Corps (FRSC), five health regulatory agencies and six health associations, among others. “It provides the much needed synergy, collective action and team work needed to successfully combat security threats inherent in the current reality of health workers becoming targets of choice for criminals and kidnappers. “Their collective action toward enhanced security will promote improved and sustained healthcare service delivery. It will reduce relocation of medical and health workers from insurgency and kidnap prone environments and improve access to healthcare. “The disruption of primary healthcare facilities and services, including vaccination programmers will also be curtailed. “Attention of Governments and hospitals will be focused more on healthcare delivery rather than reacting to security breaches. “Enhanced security in the health sector will make for progress toward achieving the 2030 UN Sustainable Development Goals (SDGs) on healthcare delivery. “It is for these strategic reasons that the Hon. Minister stands highly commended for exhibiting visionary leadership insight in inspiring and supporting the inter-agency and multi-stakeholder approach to the project,” it noted. The statement identified Nursing And Midwifery Council of Nigeria, Optometrists and Dispensing Opticians Registration Board of Nigeria, Medical Laboratory Science Council of Nigeria, Health Records Officers’ Registration Board of Nigeria, and Medical Rehabilitation Therapists Board of Nigeria as the project implementing agencies. It also identified the project facilitators and supporters as Medical and Dental Consultants’ Association of Nigeria, National Association of Nigeria Nurses and Midwives, Nigerian Medical Association and Association of Health Records Practitioners of Nigeria. Others included Association of Medical Laboratory Scientists of Nigeria and Medical and Health Workers’ Union of Nigeria (MHWUN). The post Ethics Resource Centre honours health minister appeared first on Vanguard News. Nadal, Murray coming to play at Lagos Open?